The United States Border Collie Handlers' Association (USBCHA) National Cattledog Finals will be held in Marshfield, MO on October 12-15th, 2017. The event will be hosted by Mike Craddock. This event is not possible without the support of the local community and people and businesses all over the United States and Canada. 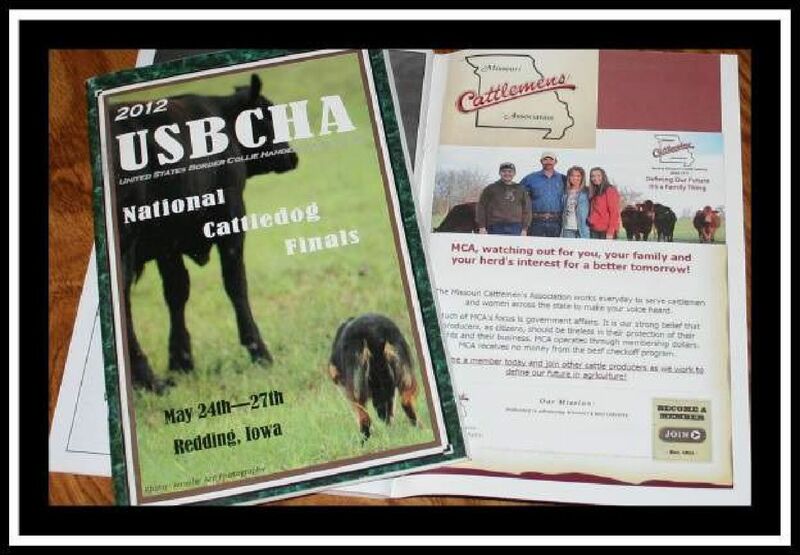 Help us to produce this annual event by supporting the USBCHA National Cattledog Finals with your selection of one of the following sponsorship packages. Sponsorships are deductible as an ordinary (advertising) business expense but not as a charitable donation. An ad on the website, a 1/4 page black and white ad in the printed event program. Sponsor to provide a banner to remain on event field and recognized throughout the day during announcements. An ad on the website, a 1/2 page black and white ad in the printed event program. Sponsor to provide a banner to remain on event field and recognized throughout the day during announcements. An ad on the website, a full page black and white ad in the printed event program. Sponsor to provide a banner to remain on event field and recognized throughout the day during announcements. An ad on the website, a full page color ad (if available) in event program. Sponsor to provide a banner to remain on event field and recognized throughout the day during announcements. Or send an email to Nicole. Dog/Handler Team sponsorships are a great way to support a handler you know personally or support a breed that you love. In past years we have had not only border collies, but also Kelpies, Australian Shepherd and rescue dogs compete. 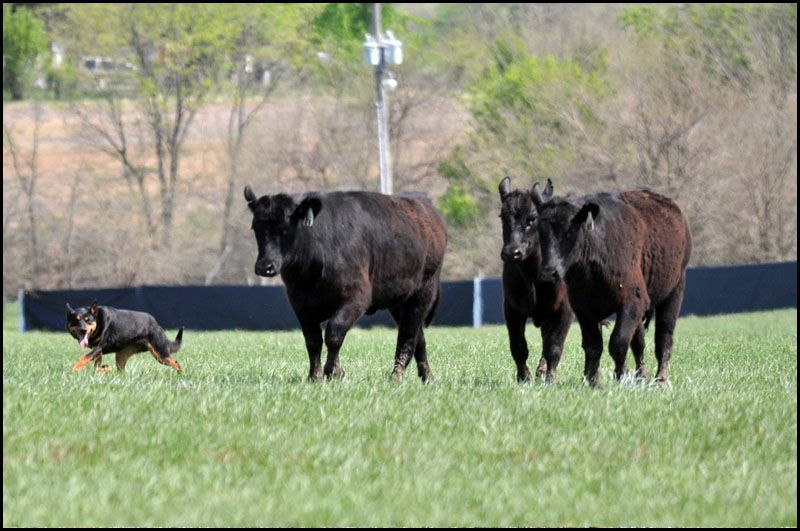 The USBCHA Cattledog Finals is open to any breed of working dog, the only requirement is that they qualify via one of the many qualifying trials held through out the nation. Anyone, or even a group of people, can sponsor a team. Team sponsorships are $125.